Revise, Revise and Revise:Whatever subject and topic you are studying, make sure to revise and remember so you do not make lose marks in those topics. Without proper revision, you will probably carry more confusion into the exam hall and end up with a higher negative score that will undo all the good work that you have otherwise done. 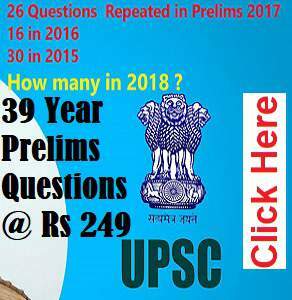 Make assessment on Facts vs Concepts: The UPSC prelims over the last few years in core subjects has become quite conceptual. So look at the last 4-5 year’s question papers and make an assessment of the type of questions that are asked on each subject. For example, in Polity, you do not need to rote learn names of past Presidents, Election Commissioners etc. (Qs used to be asked on them earlier but not anymore). The Economy paper is now highly conceptual and highly scoring. So concentrate on understanding the basics. Make assessment of all subjects. If your preparation is a mismatch to the exam pattern, then you will only be wasting time. Space out your current affairs preparation: Many students make the mistake of picking up current affairs booklets in the last few weeks hoping to finish. Reality is that it will be overload of information and your memory may not be able to cope up with the sudden load. So spend a few hours everyday from now itself on current affairs and make sure again to revise regularly. 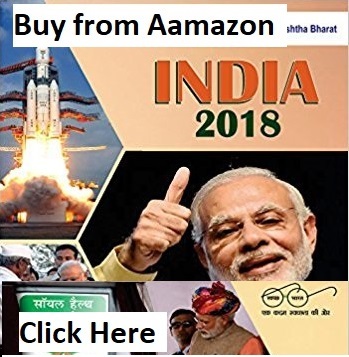 Even if you are unable to finish all current affairs, do not worry. Study and revise what you can. Same applies to map work - allot a small time slot for it daily and keep revising. Practice a lot of Test papers: Make sure to pick up some test series booklets and attempt them regardless of the level of your preparation. 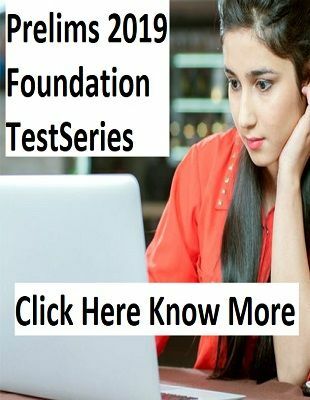 This will help you assess the level of your preparation, your ability to finish on time, and the kind of basic errors you commit like improper reading of the questions or options etc. Make a routine to be most active during exam hours: During the last weeks leading up to the exam, make sure you are studying or practising with intense concentration in the two slots of 9am-12pm and 2am-5pm. Your brain will get accustomed to being most active during those hours. Check out the venue before the exam day: You (or someone who's going to accompany you) must physically go and visit the exam venue once before the exam day, so that there are no surprises that day. You will also understand the best mode of transportation. Also, if you plan on going in a cab, remember that there will be huge demand for the cabs and so you should keep a buffer of 10-15 minutes. Reach the venue well on time:Make sure you reach the venue 45 min to 1 hour before the scheduled time. Last minute rush and anxiety to reach the venue could negatively impact your concentration. Do not be afraid: The paper is same for everyone. Trust your preparation and give your best. Any anxiety before or during the exam will hurt your performance. Close your eyes, shut out everything and take deep breathes for a minute to find calmness. Even if at first look, the paper looks tough and you feel you know nothing, do not get scared. Keep calm and go through the paper question by question and you will find ample number of questions that you can answer. Do not think you are unprepared or under-prepared: Your preparation is an objective reality and cannot change on the day of the exam. Once you decide to give the paper, do not let thoughts of your preparation enter your mind. Focus only on what you know and make a smart attempt of the paper. Do not lose momentum going into the exam: You need to be concentrating and studying as much time as you can in the days leading up to the exam. The mental state leading up to the exam is very important. Do not leave OMR sheet filling to the end: Students often ignore the fact that filling OMR sheet not only takes time but is the most important part of the prelims. If you do not want to go to the OMR sheet after every question, make sure you fill it up after every 45-50 minutes at least. This will not only make sure you do not lose out for not filling OMR sheet but also help you plan your paper better towards the end. Also, while filling OMR sheet, make sure to read out the number of question in your mind; serial filling without looking at question numbers could lead to a big tragedy. Do not make mistakes in attendance sheet: You will need to fill an attendance sheet during the exam where you also will have to fill out circles. Be very careful and it only takes 1-2 minutes. Although, the exam centers help you if you make a mistake, it will not only lose you time but also create additional anxiety. It is quite a common scene to see students making mistakes in exam sheets. So, be very careful. Do not leave any question before looking at the options: Make sure to read at least once all questions and options. There will always be 2-3 questions which you can answer just by reading the questions and options carefully. Even with minimal information, you will be able to eliminate 2-3 options. Do not over-attempt: Do not ever think you will have to attempt a predetermined number of questions. You will be able to make a mental assessment on how difficult the paper is after having attempted the paper. If the paper looks very tough and your preparation has been good, then attempting around 70 questions (in paper-I) well might also be enough. So, again, there is no fixed number but do not feel compelled to attempt like 90-100 questions just because some toppers did so.